Miele Onyx bathroom sink looks like a honey blend from many shades, with dark touches that assemble triangle reflections of quiet light. 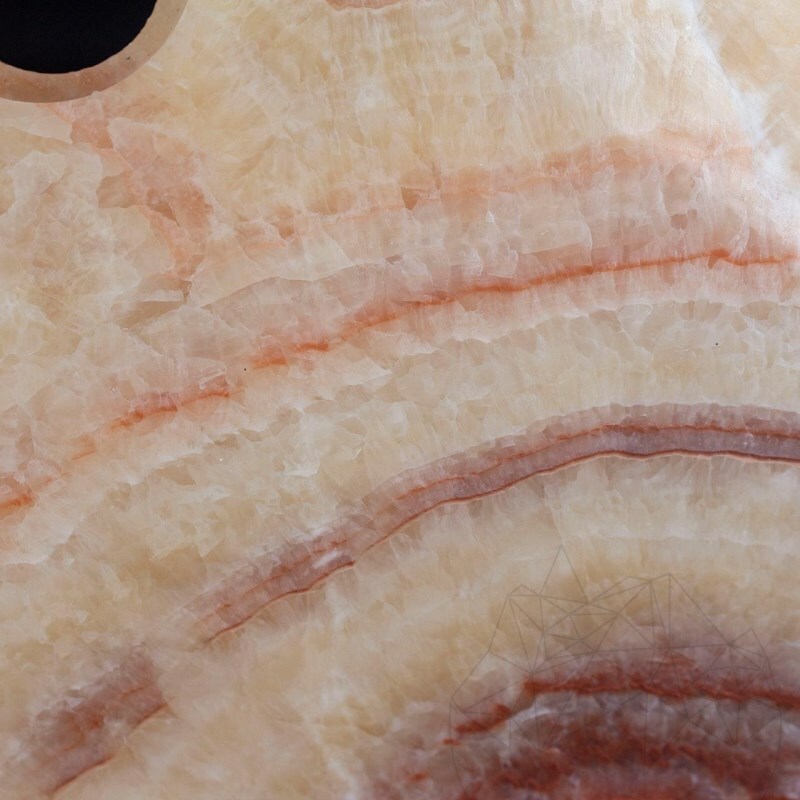 The shell surface from three arches looks like a trunk with its growth rings lessen by time. Threads of rusty waves are transforming the ambience and the atypical shape forces imagination and renew modernism. The glossy finish repels water and drainage grooves keep the water away. The shape of this water sink will not allow overflow, while chrome brass valve promotes a temporary technical detail against the eternity. 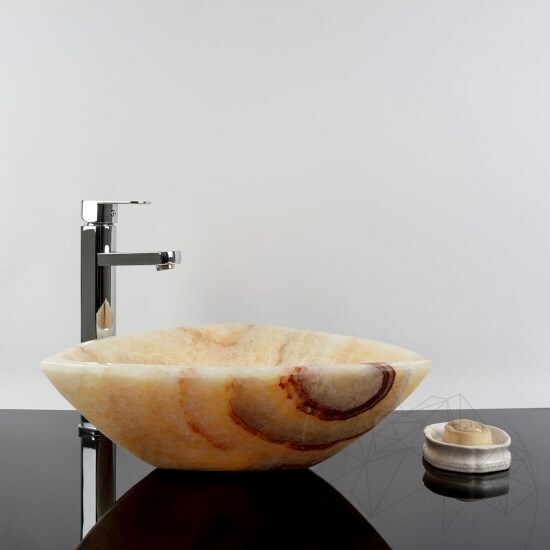 Bathroom sink’s depth is one third of its diameter, allowing hand washing. Sink faucet can be installed on a countertop, but also on a wall (requires exact measurements). 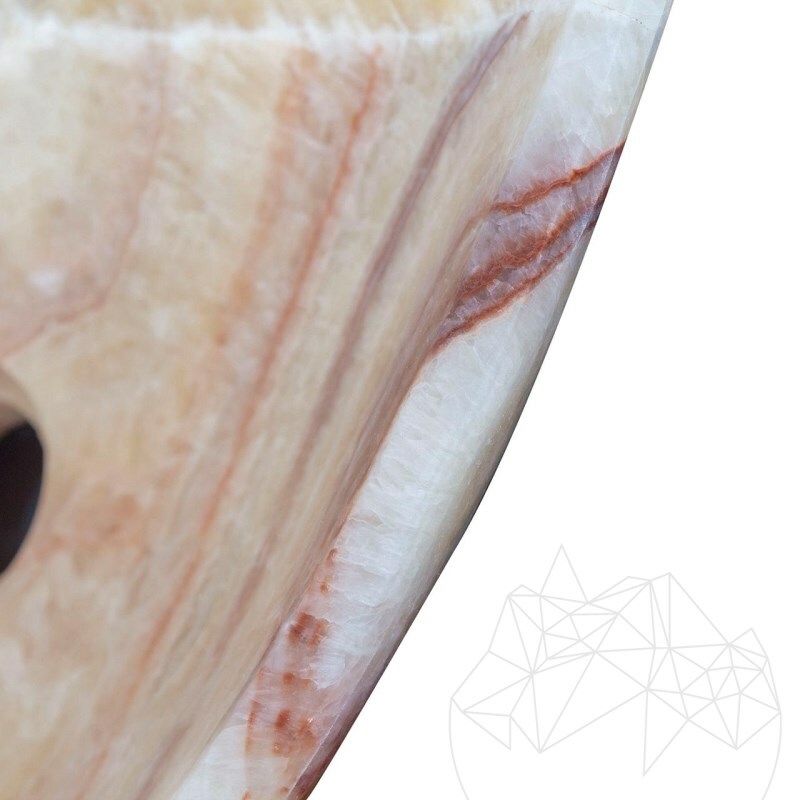 Moreover, the edge finish adds to its beauty. 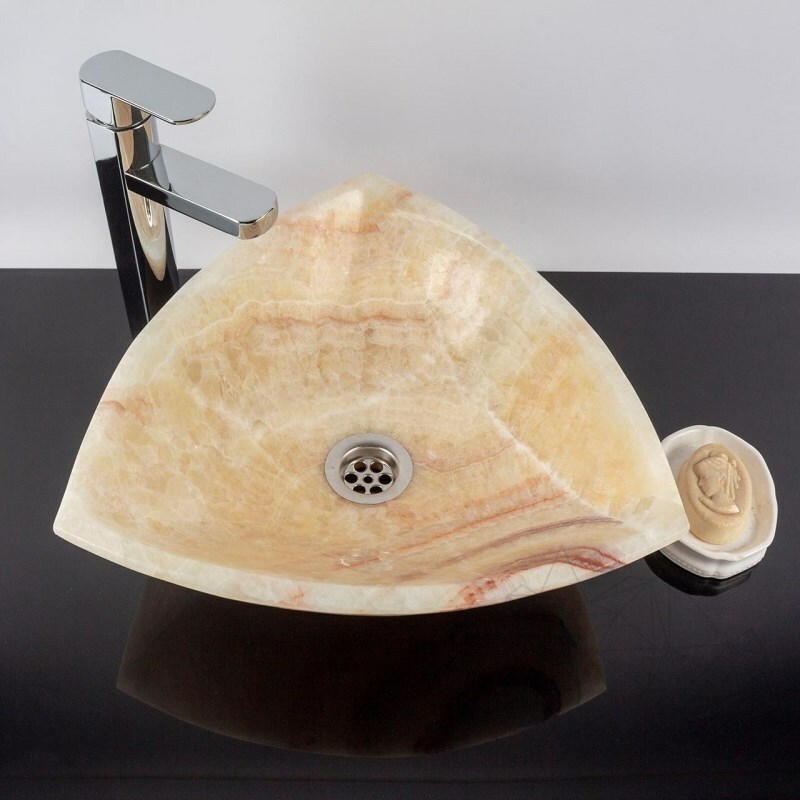 For this natural stone bathroom sink, professional solutions are highly recommended. Neutral pH detergents remove limestone residues and waterproofing prevents future limestone deposits. The simplicity of this procedure makes it easy for anyone. Aftercare is required, but it is very simple, with low costs.